We already knew that Microsoft was hard at work developing an iPad version of the still popular Office suite of apps, and now The Daily has managed to get some hands-on time with it. Microsoft already has a presence on the iPad app store with OneNote offering an entry into the Office eco-system without going the whole hog. Now Microsoft is getting ready to bring the big guns to the iPad and to go head-to-head with Apple’s own iWork suite of productivity applications. 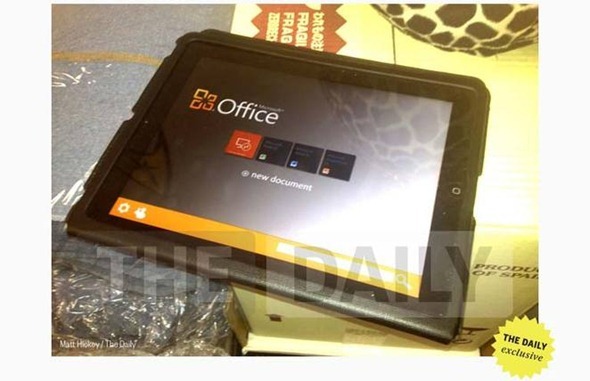 Interestingly it was, The Daily that first mentioned that Microsoft was set to bring Office to the iPad, and the News Corp. digital newspaper is the first to get a demo of the apps along with some photos to share with us all. The overall theme appears to be iOS with a touch of Metro, which makes plenty of sense – Microsoft’s upcoming Windows 8 release will also feature on tablets and it is to be expected that the Redmond firm will want to offer a similar experience across all platforms. Particularly interesting here is the news that Microsoft is not planning on releasing an Android version of Office. We’re sure Android tablet owners are mortified. Both of them. Word, Excel and PowerPoint are all in attendance, with the three file formats all able to be edited on the device, with others possibly arriving before launch although there has been no confirmation of that either way just yet. Reports also suggest that Microsoft is almost ready to submit Office to Apple for App Store testing, which mean we could be playing with it ourselves fairly soon. If you’re a huge Office fan then this will no doubt come as great news to you, especially if iWork’s Office file editing is found to be inadequate. The release of Office for iPad will again show Microsoft’s commitment to bringing its software to operating systems other than Windows. With Windows 8 on the horizon the company could have been forgiven for making Office an exclusive suite of apps for the new tablets running Microsoft’s OS. The lack of an Android version will still raise eyebrows here, though. We’re finding it hard to get too excited about Office here, but there is no doubting it will be of great use to those who are forced to live inside the Office world. Microsoft has not announced an official release date for Office on the iPad just yet. 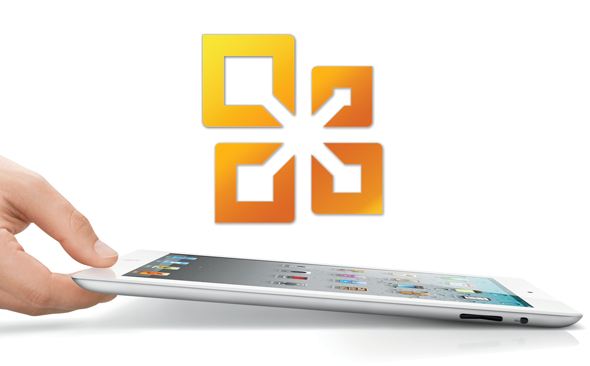 Update x1: Microsoft says Office suite for iPad story is inaccurate.